Casa Carolina - Villa/Pool with Bar, Internet & GB Sky, Great For All. Property 8: Casa Carolina - Villa/Pool with Bar, Internet & GB Sky, Great For All. 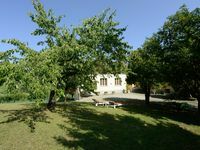 Property 11: Charming Villa & pool UNESCO among the hills of Monferrato ... breathtaking view !! Property 29: Apartment in ancient castle with shared swimming pool, surrounded by vineyards. Property 40: A holiday home with balcony in a luxurious farm complex with swimming pool. Historical house in the heart of Mombaruzzo. Property 42: Historical house in the heart of Mombaruzzo. My husband and I rented this spacious apartment in the Canelli hills. We have stayed in the Piedmont area several times but this was our first time in the Canelli region. We liked this location, midst in a vineyard area but still very close to the Canelli town. We went for winetasting/tours in Canelli and can especially recommend visiting the Coppo winemaker. Nearby towns, such as Acqui Terme and Nizza Monferrato (and many other charming smaller towns) are also within a short drive. The apartment was very cozy and spacious, and well equipped (with both a dishwasher and a washing machine). The owner was friendly and had a bottle of wine and water waiting in the fridge for us when we arrived. The outdoor area is spacious with nice sun loungers and table+chairs for outdoor meals and relaxation. The only problem we encountered were unusually abundant mosquitos, likely due to favorable weather conditions this summer. We were a family of 14 people and had a lovely stay. The owner Marco was dedicated and recommend good service and gave os private time. Lovely rooms and beautiful house. We sure recommend this house to other families or groups.